With a satin finish moisture resistant coating, this product is suitable for kitchens and bathrooms. This wood frame is available in: Oak, Chocolate and Black. Lovely grain texture with satin finish. 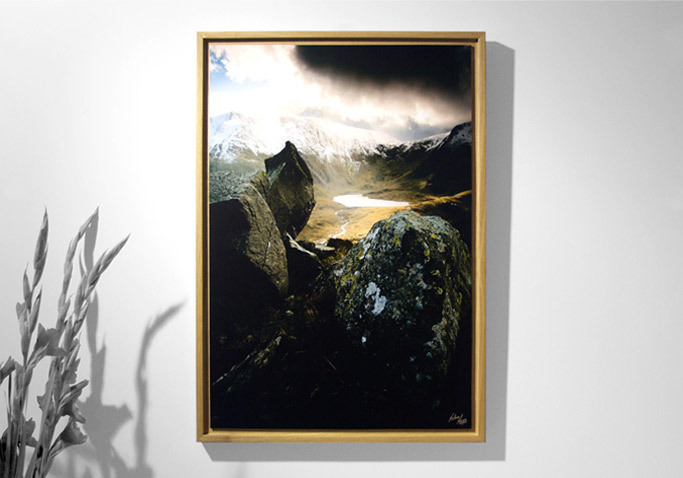 Create your personal one-off art piece with your own digital image onto our exciting Framed Stealth Panel. All our gallery images are available as Framed Stealth Panel.